Thanks for visiting boiler services Mornington we are your specialist central heating, boiler service, repair and installation company. As a subsidiary of the well known and highly regarded boiler services Meath group we have the experience, staffing and resources to tackle anything in regards to your heating system. All our team hold full plumbing qualifications are RGI registered, we are fully insured and all our completed work comes with our 1 year parts and labor warranty. If you need an oil or gas boiler service in Mornington you have come to the right place. Our team are experts with 30 years successful trading behind us and some staff having over 35 years within the trade it doesn’t matter if it’s a domestic, commercial or industrial boiler it’s almost guaranteed we worked on them before. At boiler services Mornington we are extremely flexible. If you require your boiler service at the weekend or in the evening it’s no problem, just book your appointment and there is no extra charge. Our rates are between €55-€8o dependent on the make and model. Call 046-9011255 for your free quote today. We operate 24 hours a day 365 days a year so if your boiler breaks down suddenly, you know help is at hand. 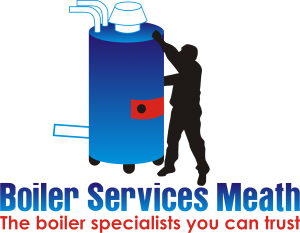 Call us any time of the day or night and you will get through to senior boiler services technician. In first instance we will try to give any helpful advice that may help you solve the issue. If you need help fast usually we can have one of the team to your home or business within the hour. Once the problem has been diagnosed we will get you up and running as soon as possible. For free quotes on boiler servicing, installation or repair, power flushing and pumps call your local heating experts at boiler services Mornington today on 046-9011255.